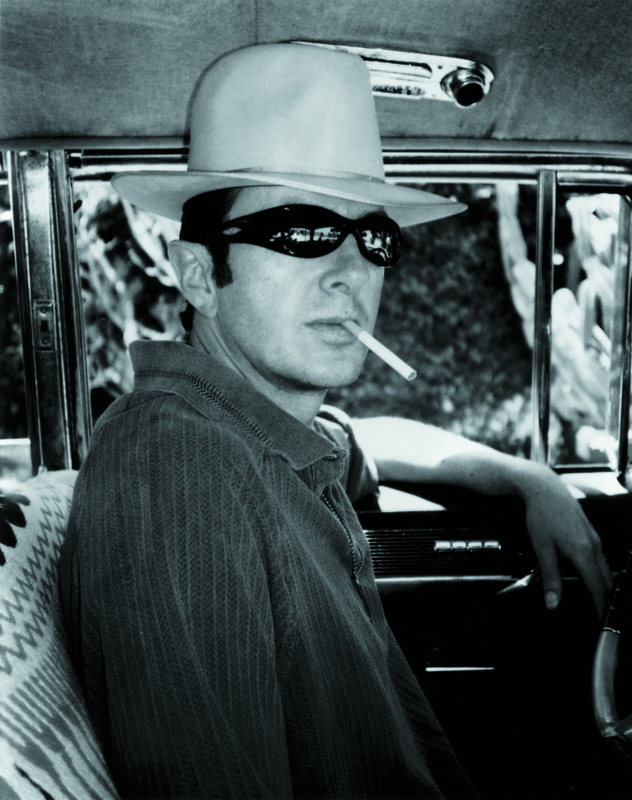 To mark late September 2018’s release of a box-set tribute to Clash frontman, punk pioneer, singer/songwriter, activist and all-round inspiration Joe Strummer, who died in late 2002, WriteWyattUK tracked down the project’s main drivers – artist Robert Gordon McHarg III and Joe’s widow, Lucinda Mellor. But first, a little pre-amble. 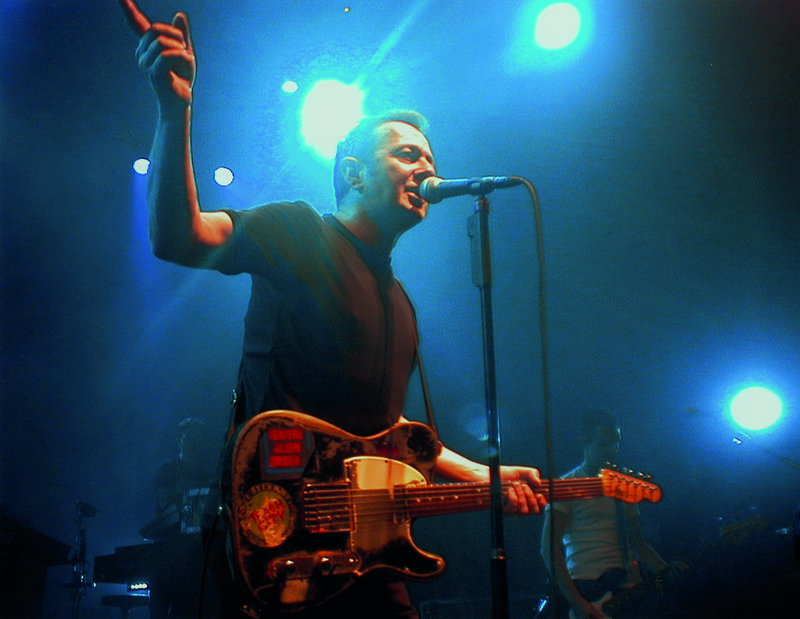 Later this month, Ignition Records issue new LP/CD/digital boxset project, Joe Strummer 001, the first compilation spanning Strummer’s career outside The Clash, including various rarities and fan favourites from recordings with the 101’ers and The Mescaleros, his solo LPs and soundtrack work, plus an LP of unreleased songs. All formats include tracks that have never appeared before, as well as new remasters, and the album of unreleased material includes an early ‘This Is England’ demo (‘Czechoslovak Song/Where Is England’), a solo ‘Letsagetabitarockin’’ demo recorded in Elgin Avenue in 1975, outtakes from Sid & Nancy featuring Joe’s main Clash collaborator Mick Jones, and unreleased songs ‘Rose Of Erin,’ biographical/mythical recording ‘The Cool Impossible’, and ‘London Is Burning’, one of the last he recorded. Arguably the most charismatic and passionate frontman to emerge from the punk rock explosion of the late ‘70s, it was discovered after Joe’s untimely death in December 2002 that he’d been quite an archivist of his own work, with barns full of writings and tapes stored in his back garden. 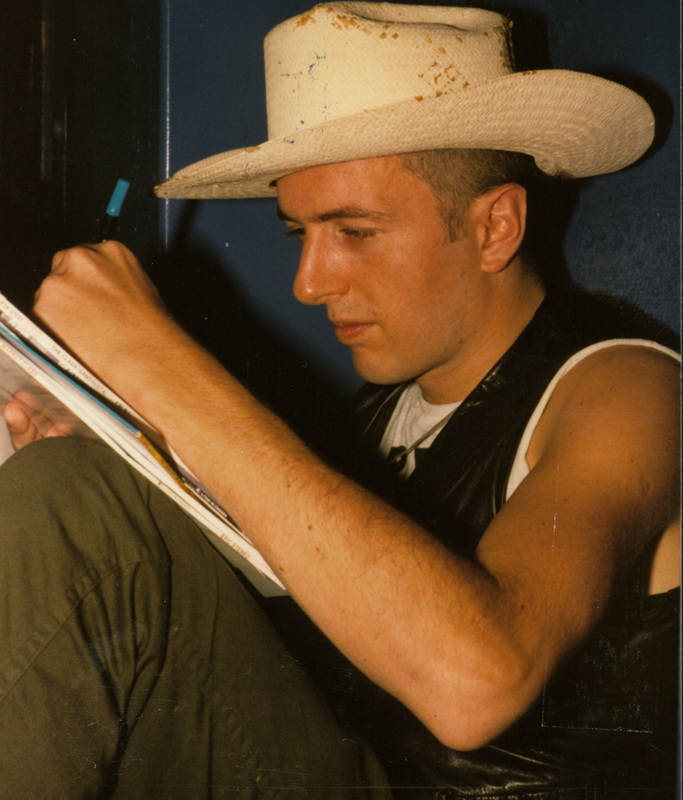 In fact, there are now more than 20,000 items in the Joe Strummer Archive, the archiving of material and compiling of Joe Strummer 001 overseen by his widow, Lucinda Mellor, and artist Robert Gordon McHarg III. All the tracks for the box-set were restored and mastered by Grammy Award winner Peter J. Moore at the E. Room in Toronto, Canada. And going through cassettes and recording tapes it was discovered that Joe was also rather frugal and keen on hiding tracks. On cassettes he would leave 20 minutes between songs, and on one-inch eight-track recordings hidden tracks were discovered superimposed on to each other. For example, tracks one to four were taken by one song and tracks five to eight by two other songs, initially thought when played back to be caused by tape denigration until Moore stepped in and separated one song from another. The box-set has the same content as the CD set and is pressed on audiophile quality 180g vinyl, while an accompanying book included with the deluxe CD set features rarely seen and previously unpublished memorabilia from Joe’s personal collection as well as historical press reviews and technical notes about the albums. 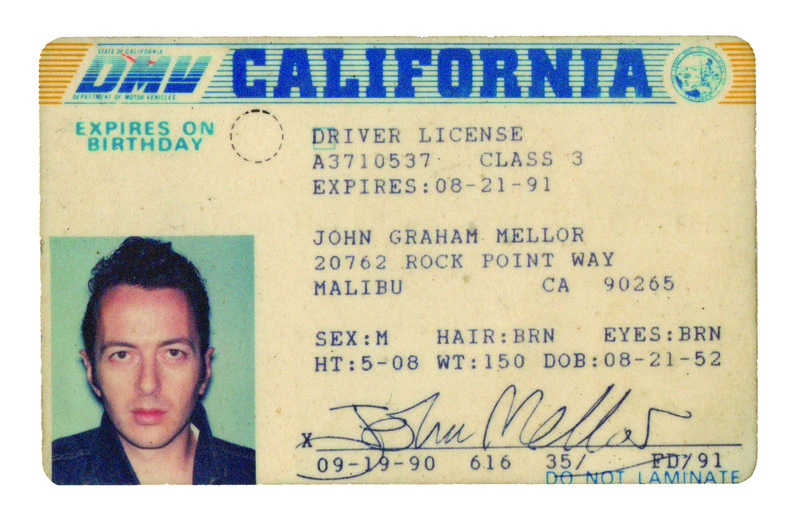 The cover of all formats is taken from Joe’s 1990 Californian driving licence. To mark the occasion, I asked Gordon and Joe’s widow Lucinda Mellor their thoughts on the project and Strummer’s enduring legacy, 16 years after his departure. My questions follow in italics, followed by answers from Gordon, Luce, or both. A lot of hard work went into this collection, as with all your labour compiling Joe’s archive. Was this project at the drawing board stage for a long time? The first thing I heard from this box-set was part of a different treatment of ‘London’s Burning’/’Burnin’ Streets’, just one shining example showcasing the versatility of so many great tracks in his back-catalogue. I gather that Joe was one for ‘hidden tracks’ tucked away on tapes. Was there a fear that some of those old tapes would snap and be lost forever after all this time? Was there much gnashing of teeth, scratching of heads and arguments for arguments’ sake over the track-listing? I guess it would seem fairly apt to Joe’s memory if that was the case. Were there occasional conversations in compiling this box-set when you felt the need to ask Joe’s opinion on something? 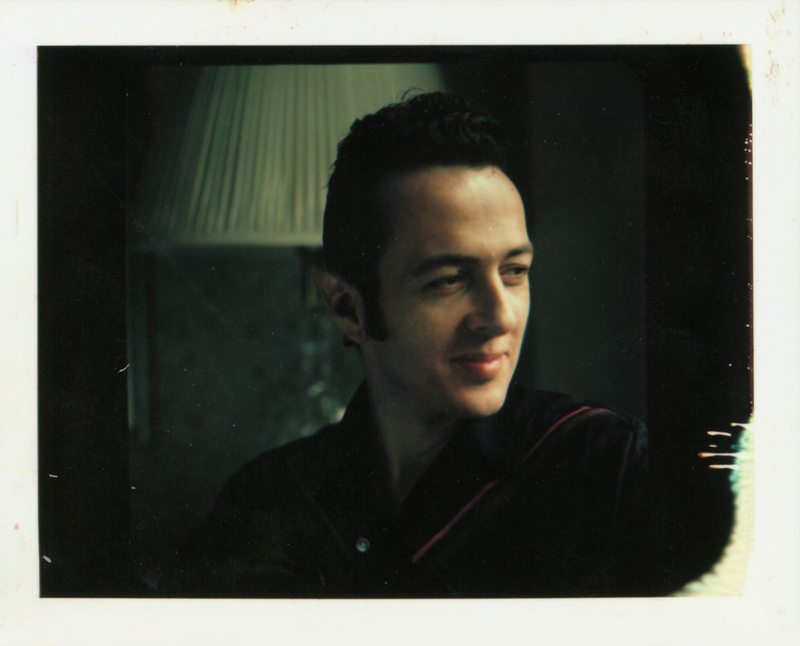 As I understand it, there are more than 20,000 items in the Joe Strummer Archive. Were there moments when it all seemed a bit much to even contemplate sorting out? Have there been sleepless nights thinking you shouldn’t have left such and such a track off? And is there scope for a ‘Joe Strummer 002’? In an interview in 2007 with The Independent, you (Lucinda) suggested an ‘amazing book’ may follow on the archive someday. Any further advanced on that? I’ve come to appreciate in recent years the strength of the 101’ers material. Might that have been something Joe was likely to go back to and reinterpret/re-record a few songs? There were a few ‘in between’ projects before the Mescaleros evolved, not least the film soundtrack work. What tracks from those less celebrated albums really jumped out at you all these years on? It seems sad that it took Joe’s departure for much of his work to be truly recognised in certain circles, but I’m more and more convinced I don’t just hold the last two albums in such reverence because of the circumstances, but because he was on a genuine career high. There’s a tendency to think, going back over old interviews, footage and records, that we’re still in late 2002 in Joe’s world. But while I felt Streetcore was perhaps his finest body of work and a couple more albums of that strength may have followed, his restless nature might have seen him move on to another band or solo project at some stage. Do you reckon that may have happened? Inevitably, talk will always go back to a Clash reformation and whether it was likely to happen. Signs and snippets of quotes suggest It was at least on a bucket-list for Joe at some point. Any thoughts? We tend to think of you as Joe’s widow, Luce, but time moves on. Where are you at now? And where’s home these days? What’s (Joe and Lucinda’s daughter) Eliza up to these days? Are you still in touch with (Joe’s other daughters) Jazz and Lola and other members of his family? And do you often speak to Mick, Paul and Topper? It’s now 25 years since you met Joe, and although you were only together around a decade, you clearly knew him so much better than most. Although you both had West London links, he seemed to be just as at home in Somerset, away from the big city. Joe was something of an archivist of his own work and could seemingly outdo most of us with his hoarding capabilities. I get a picture of a ‘carrier-bag man’ keeping hold of so many items that might one day come in handy (lyrics or whatever). Were there ever difficult ‘Do you really need this, Joe?’ conversations? How important was Gordon’s input in setting the right tone on this box-set project? How did you (Gordon) get to know Joe? I think you suggested to Robert Elms on BBC Radio London that it involved a copy of a Hank Williams book and a pumpkin pie. Were you a Clash fan, growing up in Montreal? Ever dream you might get to know the band and know their London? And what did you think when Luce asked you to get involved on all this? Gordon: “Yes. I saw The Clash in Montreal 1982. I was 18. ‘The Call Up’ really got into my head. “I arrived in London on Carnival Monday, 1983, and knew no one. I didn’t know that Notting Hill Carnival was on and ended up on Portobello Road, under the Westway, listening to Aswad. Six years later I met Paul Simonon at his after-carnival party through my friend Gaz. You’ve paid tribute to Joe with art installations in London, Belfast and Tokyo, most famously the Edgware Road tube project. Ever try to define what it was about him that truly resonated with you? Gordon: “The Joe Strummer Subway was my guerrilla project to rename the subway under the Marylebone flyover intersection of the Westway and the Edgware Road where I had The Subway Gallery for 10 years. Four years ago, you were saying how your ‘seven-day pop-up shop’ was to raise funds for a Strummer statue. There have been temporary murals and tributes in London, Spain and the US since 2002. Any closer to your dream? The biographers who got closest to the subject, not least Pat Gilbert, Marcus Gray and Chris Salewicz, gave honest portraits of a man who (like us all) for all his faults still came out as nothing less than charismatic and passionate, words that come up time and again when reference is made to Joe. Yet he remained something of an enigma. Do you think only a few of you got to know the real John Mellor? Have there been genuine moments when you’ve been overwhelmed by just how much love there is still out there for Joe, all around the world, where he’s touched so many lives and inspired so many people? The way politics has gone in recent years, particularly in the UK and US, seems to be the antithesis of everything Joe fought for – anti-poverty, anti-borders, pro-inclusion, promotion of the arts/culture, pro-cooperation and connecting. He would have plenty to rail about if he was still with us, wouldn’t he? Where are we at with the Joe Strummer Foundation in 2018? Are there projects ongoing? And are there special events taking place to mark the release of the box-set? Luce: “The Foundation is going really well and there are many projects happening at the moment. We have partnered with Kerrang Radio to create Revolution Rock, where we are helping provide musical instruments for financially-challenged schools and music-mentoring for the homeless and/or underprivileged, helping youths find a way out of gang crime or music therapy for mental health issues. There was also Strummer Jam in August and a gig at Dingwall’s on September 7th, plus supporting emerging musicians in the Hastings area through a project called DEBUT (all information for those events and more can be found via joestrummerfoundation.org). Finally, in a sense, Joe never left us – his music remains with us. 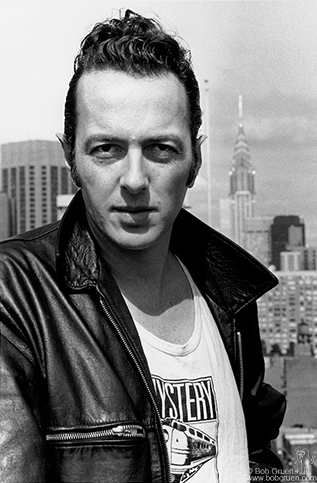 Approaching 16 years after his passing, what do you both think of when Joe Strummer springs to mind today? What picture of him do you both see? This feature/interview appears in a different format in a new biography of The Clash by Malcolm Wyatt, published in December 2018. There’s more about This Day in Music’s Guide to The Clash, including online sales links, here. If you would like a personally-dedicated, signed copy from the author, just get in touch via this page. And for a WriteWyattUK lowdown on ‘White Riot’, 40 years on, published in mid-March 2017, follow this link. Limited edition deluxe box-set: quadruple heavyweight vinyl, 7” vinyl single, cassette, A4 book, enamel badge, art print, screen print, lyrics and sticker sheet (IGN53BOX). Limited edition deluxe double CD in A4 book (IGNCD53X). 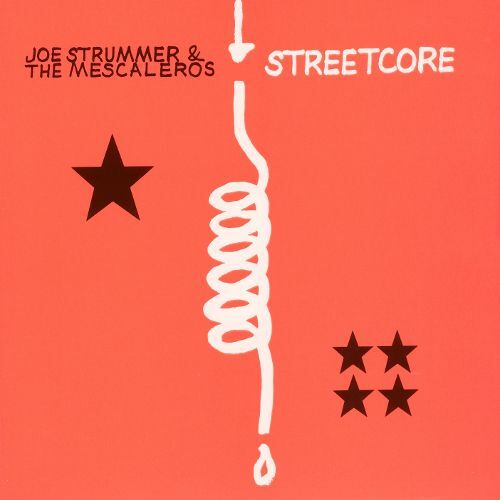 Meanwhile, ’London Is Burning’, an alternative/early version of ‘Burnin’ Street’ from Joe Strummer & The Mescaleros’ final album Streetcore is available now via this link. 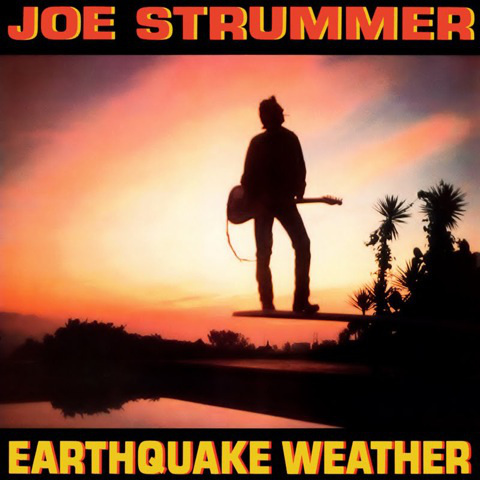 For more details about ongoing charity projects in Joe’s name, head to joestrummerfoundation.org. 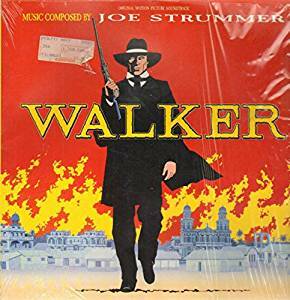 This entry was posted in Books Films, TV & Radio, Music and tagged 101'ers, Hank Williams, Ignition Records, Joe Strummer, Joe Strummer 001, Joe Strummer Foundation, Lucinda Mellor, Lyza Jane, Mescaleros, Mick Jones, Paul Simonon, Peter J. Moore, Robert Elms, Robert Gordon McHarg III, Somerset, The Clash, Walker. Bookmark the permalink.